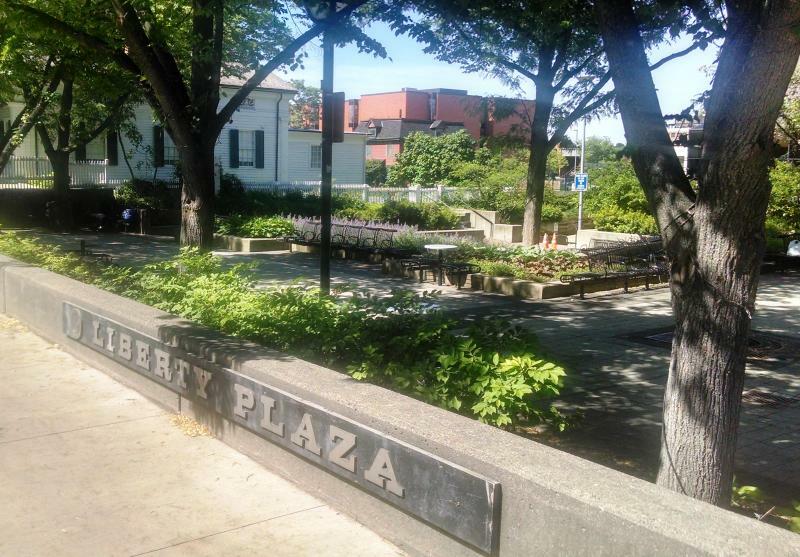 Ann Arbor City Council is unified in concerns over Liberty Plaza but differ in their thoughts on how to move forward on improving the urban park. Council referred a resolution to start a re-design process to the Parks Advisory Commission. 89.1 WEMU's Andrew Cluley reports on the latest efforts to improve Ann Arbor's Liberty Plaza. Council member Stephen Kunselman doesn't believe a re-design effort will be effective until the neighboring business is interested. He thinks what Liberty Plaza really needs is enhanced public safety. Council member Christopher Taylor however is disappointed the issue has been pushed to PAC. He says everyone knows the sunken park needs to be re-designed and PAC made that clear in recommendations approved by council less than a year ago. Others on council want Liberty Plaza and the proposed park on Library Lane to be considered together. — Andrew Cluley is the Ann Arbor beat reporter, and anchor for 89.1 WEMU News. Contact him at 734.487.3363 or email him acluley@emich.edu. In recent years there has been a lot of talk about the need for a downtown park above Ann Arbor's underground parking structure. Now Ann Arbor City Council will consider a resolution to pay for a re-design of the Liberty Plaza just to the northeast of the garage. 89.1 WEMU's Andrew Cluley reports on Ann Arbor City Council considering another effort to improve Liberty Plaza. Rental fees will be waived at an Ann Arbor park in an effort to assist a program that provides food for the homeless, and help increase community activity. As WEMU's Andrew Cluley reports, Ann Arbor City Council last night unanimously approved a one-year, trial waiver of rental fees at Liberty Plaza. The "Pizza in the Park" program in Ann Arbor gets a boost from City Council, and will not have to pay fees for at least one year, as it serves food to the homeless in Liberty Plaza. Etched glass panels depicting images of trees in Ann Arbor will be installed above and under the Stadium Bridges. City council has approved spending $385,000 on the final project funded by the old Percent For Art Program. 89.1 WEMU's Andrew Cluley reports on artwork approved for Ann Arbor's Stadium Bridges. Plans for an extended stay hotel in downtown Ann Arbor should clear their last hurdle tonight. Ann Arbor City Council will consider the site plan and development agreement for a nearly 90-thousand square foot building at Huron and Ashley. 89.1 WEMU's Andrew Cluley reports on an extended stay hotel proposal Ann Arbor City Council will consider Monday night. 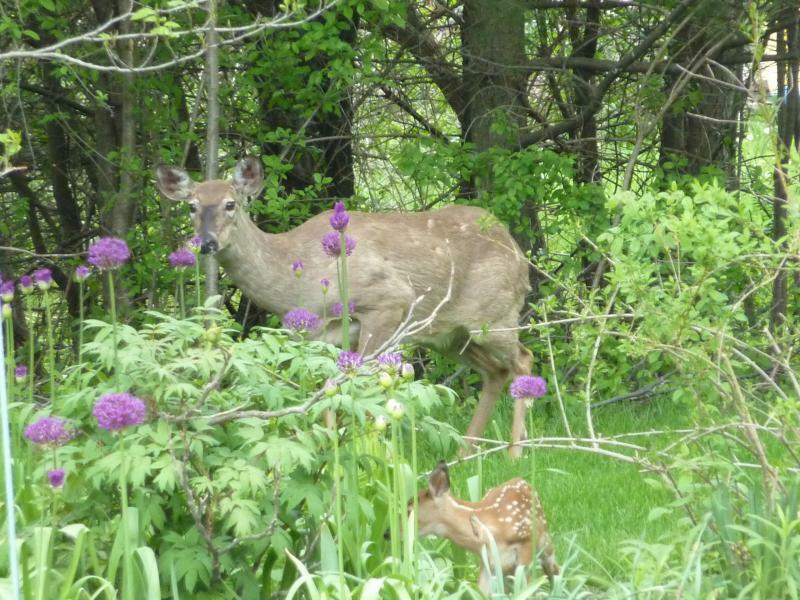 Deer overpopulation in Ann Arbor and Washtenaw County is responsible for increasing home and vehicle property damage and is threatening the area's ecological balance. This week, David Fair talks with Maurita Holland about the issues creating the problem and the potential solutions. The City of Ann Arbor wants to help provide some energy relief to rental property owners. They are teaming up with DTE's Multi-Family Program on a pilot program that offers free upgrades like compact flourescent light bulbs, water-saving shower heads and programmable thermostats. Heidi Muir, the principal program advisor, says they usually focus on rental properties with five or more units. This effort targets smaller properties. "We will accept multi-family properties with two to five units under one contiguous roof," Muir says.